Teleportation. Mind control. Invisibility. Astral projection. Mutation. Reanimation. Phenomena that exist on the Fringe of science unleash their strange powers in this thrilling series, co-created by J.J. Abrams (Lost, Alias), combining the grit of the police procedural with the excitement of the unknown. The story revolves around three unlikely colleagues - a beautiful young FBI agent, a brilliant scientist who's spent the last 17 years in a mental institution and the scientist?s sardonic son - who investigate a series of bizarre deaths and disasters known as "the pattern." Someone is using our world as an experimental lab. And all clues lead to Massive Dynamic, a shadowy global corporation that may be more powerful than any nation. 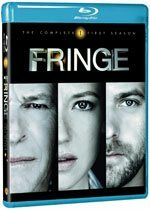 Download Fringe in Digital HD from the iTunes store. 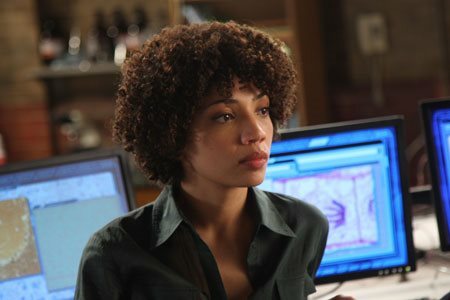 Fringe images are © Warner Bros.. All Rights Reserved. 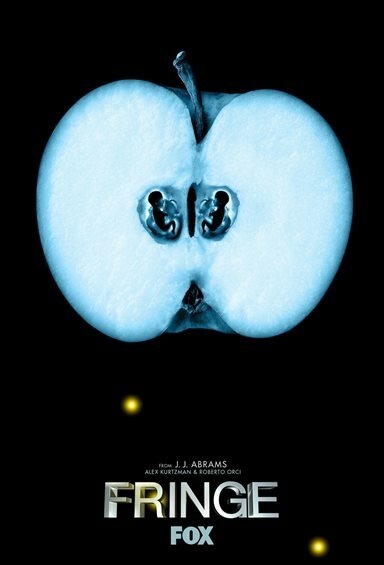 Fringe seems to be JJ Abram's answer to The X-Files. The lessons from the X-Files were: (a) if you have FBI agents with chemistry, you have the basis for a science fiction show, and (b) if you have no idea where you are going and string the audience along, your audience will grow to hate you! 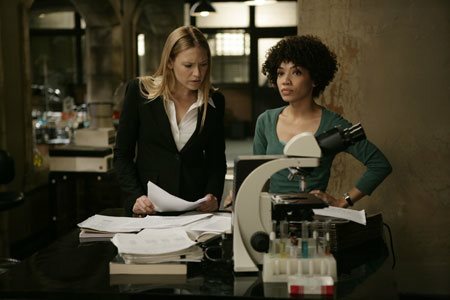 Fringe gives us a division in the FBI that examines paranormal events. 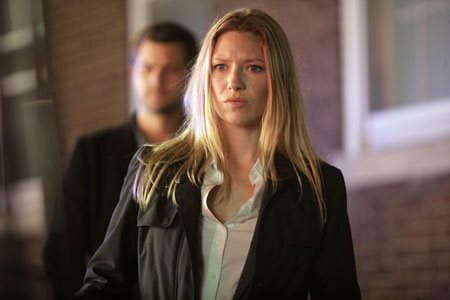 Instead of two agents on the case, we have a small team headed by Anna Torv as Olivia Dunham, the show's lead. She plays a dedicated agent who is light "on the having-a-life front", but is extremely dedicated to the job. 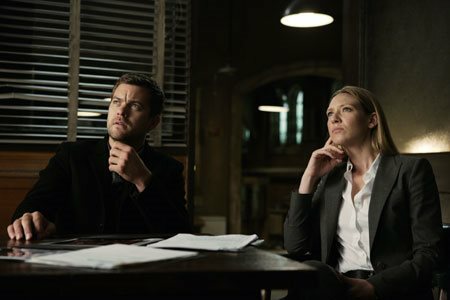 Her partner is not another FBI agent, but rather a civilian -- Peter Bishop (Joshua Jackson), who is the son and 'handler' of Walter Bishop (John Noble), a mad scientist, who is conversant in all the fringe-science behind the weird happenings. Joshua Jackson provides the male-lead, and there is at least nascent chemistry between him and Torv. I want to call out supporting actor, Lance Riddick, as agent Broyles, the team leader. He is from The Wire, which reminds me of that excellent show every time I see him since he is playing a very similar character. The show gives us a weird feeling of the week -- usually having someone dying a horrible death -- which brings the FBI into play, and then the team investigates. They use Walter's mad-science brain to solve the problem, and learn more about the mysterious forces behind these events (which are collectively called The Pattern). In this, Fringe, is very, very smart. Today, we are used to shows that have a meta-story, a plot that exists above the week-to-week episodes. The X-Files dropped the ball by clearly not knowing where they were going, and Lost dropped the ball and picked it back up; but Fringe seems to have a pretty clear idea what they are doing even if it "unfolds" a bit slowly. 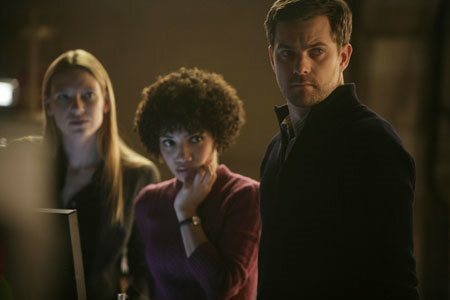 Fringe has received good buzz, and it deserves it. It gives us what a good deal of TV shows has promised. On the other hand, the show is not perfect. The first season is somewhat uneven in its pacing. I think the creators are still figuring out what they wish to do with it. The show's formula is also somewhat overly consistent, which to my mind, is not a strength. 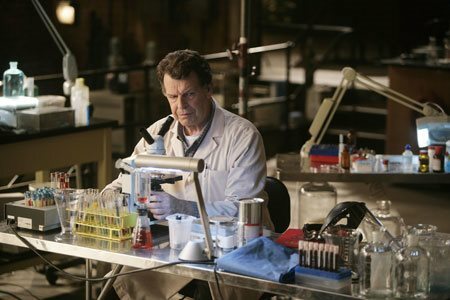 They are careful to keep the characters likable and fairly light-weight: Walter Bishop does not come off as someone with a real mental illness. 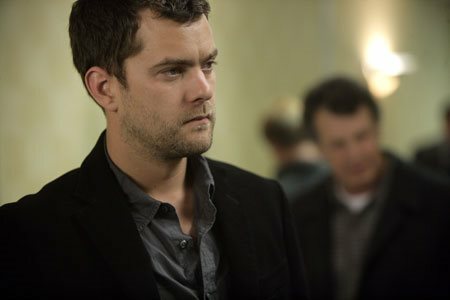 Peter Bishop, who is supposed to be a rogue, is always careful to have the heart of gold. The show introduces a sister (and young niece) for Torv's character which seems to have little narrative reason for existing for most of the season that takes up space. The show's science is, of course, only at the token-attempt to be a reasonable stage. 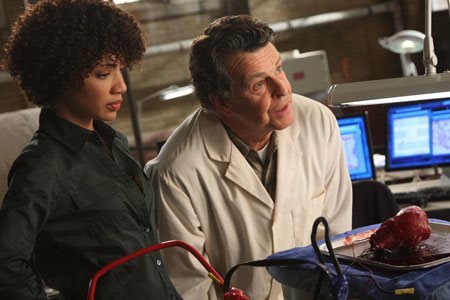 I feel someday we may see a show where real science science-fiction takes a center-stage, but Fringe is not t.
In the end though, Fringe, which is now going into its second season, is worth picking up. If it survives its sophomore year, I could see it being very successful. The cast is strong, and the characters are reasonably interesting. The writing shows promise, and unlike the last time we went through this exercise, it looks like the creators know where they are going. 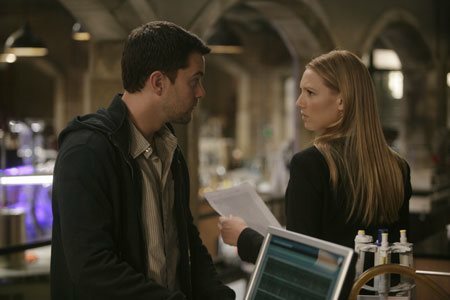 Fringe images © Warner Bros.. All Rights Reserved.